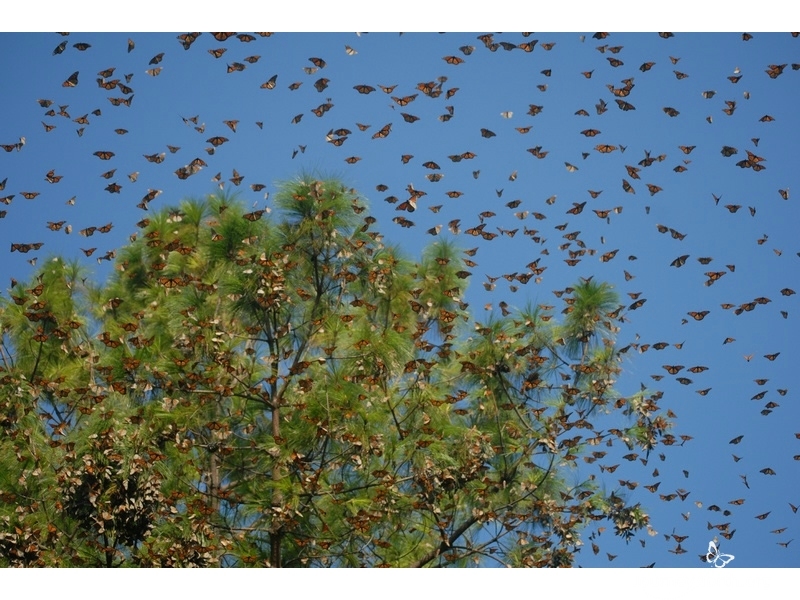 Witnessing Arrival Every fall for hundreds of years, people in our region have witnessed the sudden appearance of monarch butterflies. The monarch's wondrous arrival carries special meaning, and is tied to our traditions and culture. Harvester Butterfly The monarchs arrive around the first of November, just as the rainy season ends and it's time to harvest our corn. The native people of our region named the monarch the harvester butterfly. Ancestors Return The monarchs arrive at the time of our traditional festivity, the Dia de los Muertos (Day of the Dead). Since pre-Hispanic times, we have believed that our dead relatives come back to visit on the night of November 1 and 2. 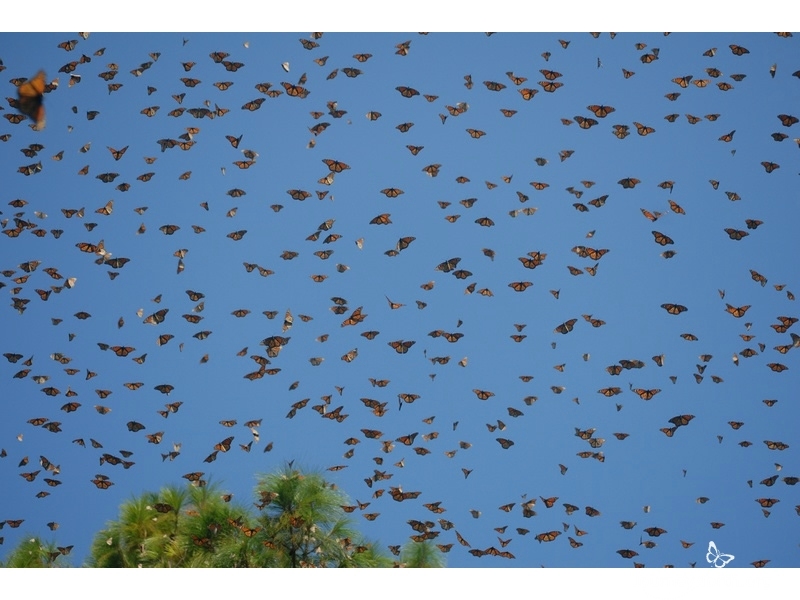 For us, the arrival of the monarchs symbolizes our ancestors' souls returning to Earth for their annual visit. Remembering Loved Ones Families set up an ofrenda (shrine) to honor the memory of our deceased ancestors. 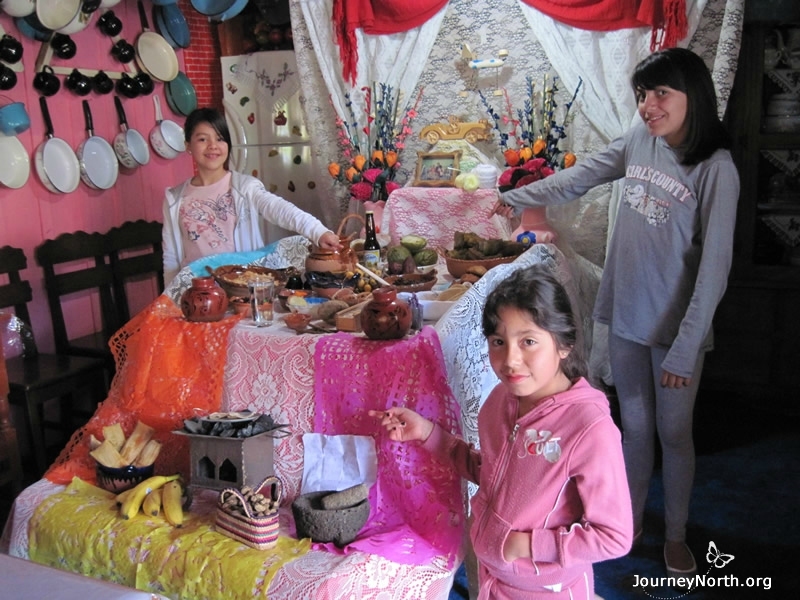 Lupita invited Laura Emilia and Zamara to see her family's ofrenda. 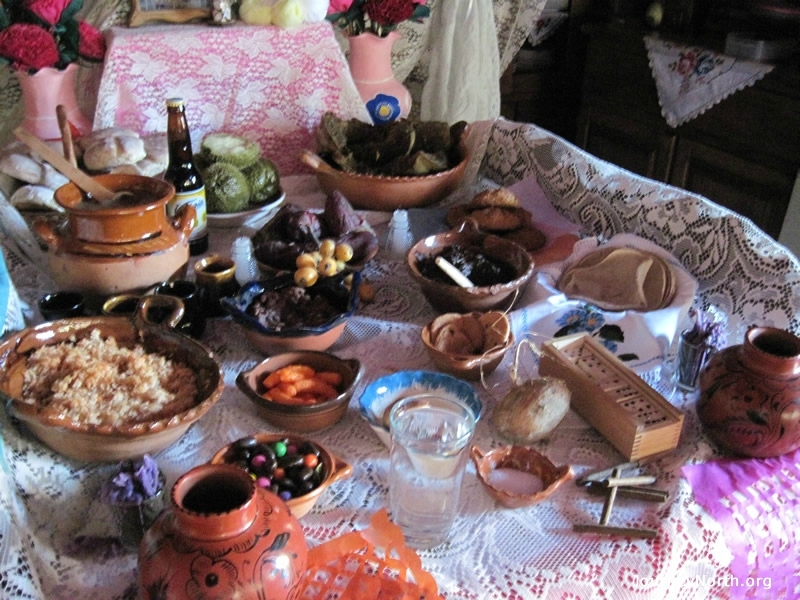 Favorite Foods As is our tradition, Lupita's family prepared all the dishes and drinks their grandpa used to enjoy. The colorful ofrenda is decorated with flowers, treats, and mementos. Visiting the Cemetery Families gather at the cemetery. Some play live music there, if the beloved relative asked for such celebration. 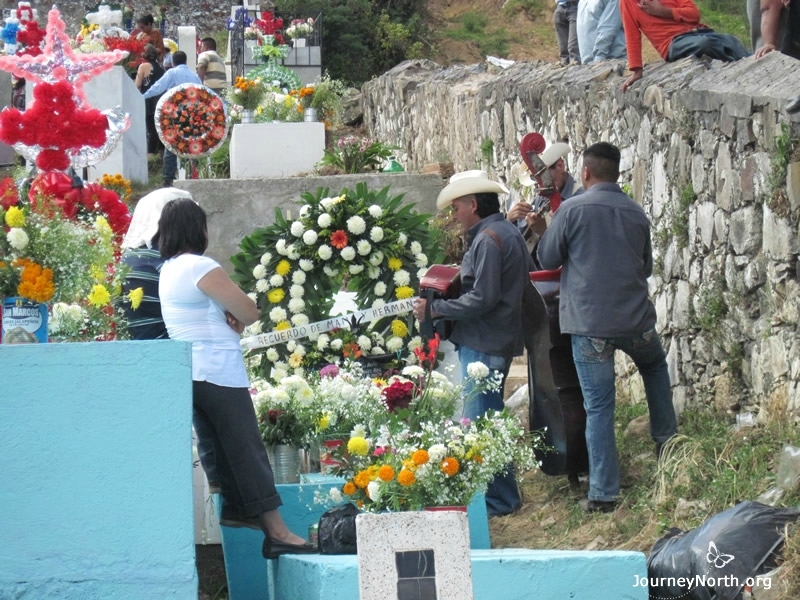 In some parts of Mexico, people stay all night to spend special time with their ancestors. 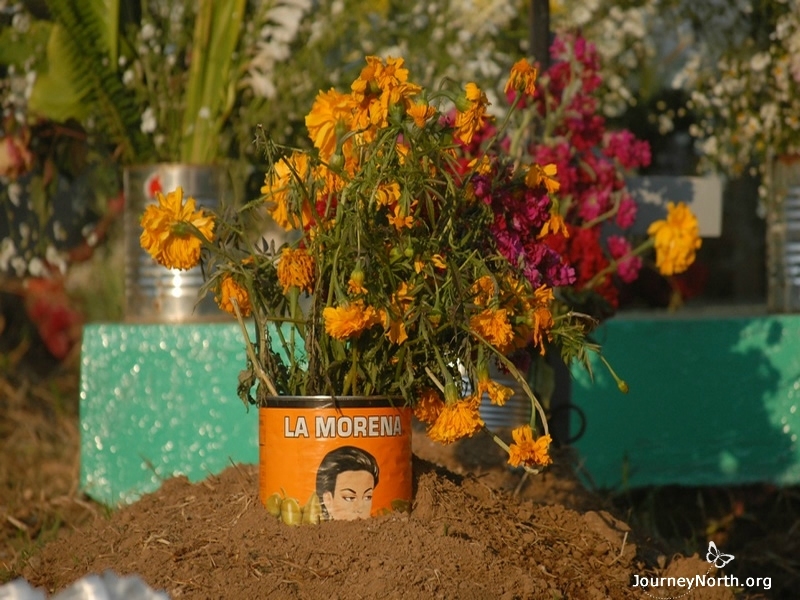 Traditional Flowers The bright orange cempas�chil (marigold) is the traditional flower of Dia de los Muertos. People say the color and fragrance guide the spirits home. 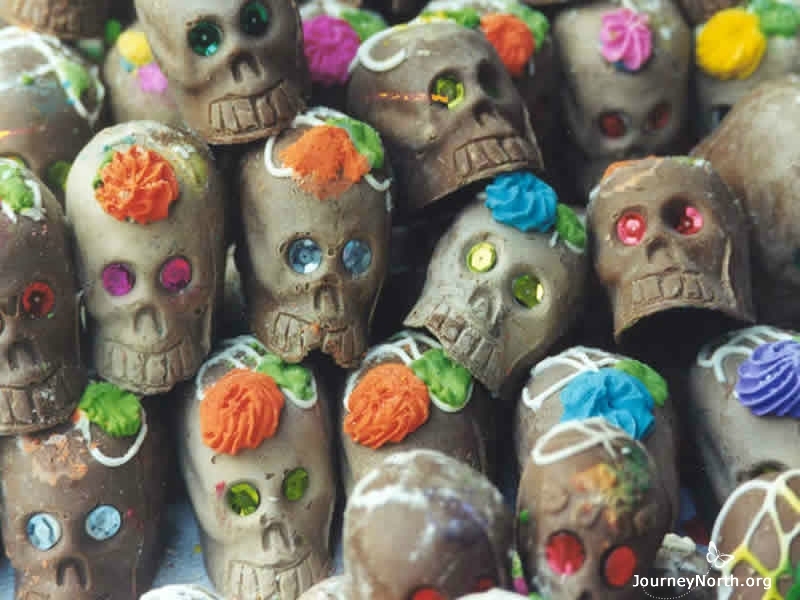 Traditional Sweets We enjoy calaveras de az�car (candy skulls) and other sweet treats traditional at this time of year. 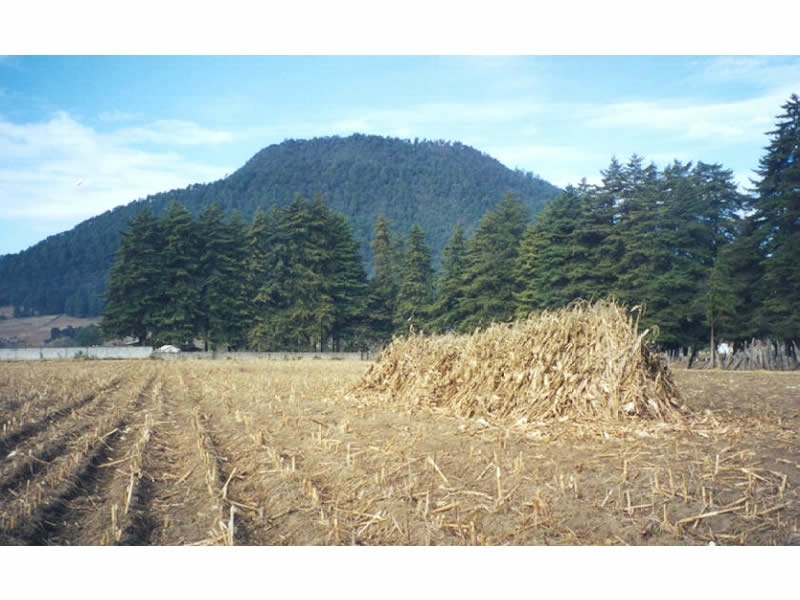 Ancient Traditions The monarchs arrive each fall as we honor our ancestors, harvest our crops, and mark the passing of another year. Following an ancient tradition of their own, the monarchs fly to this region of Mexico the way their ancestors did the year before. 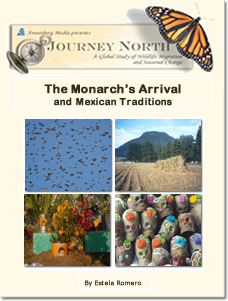 The first monarchs traditionally reach their winter home in Mexico by the first of November. 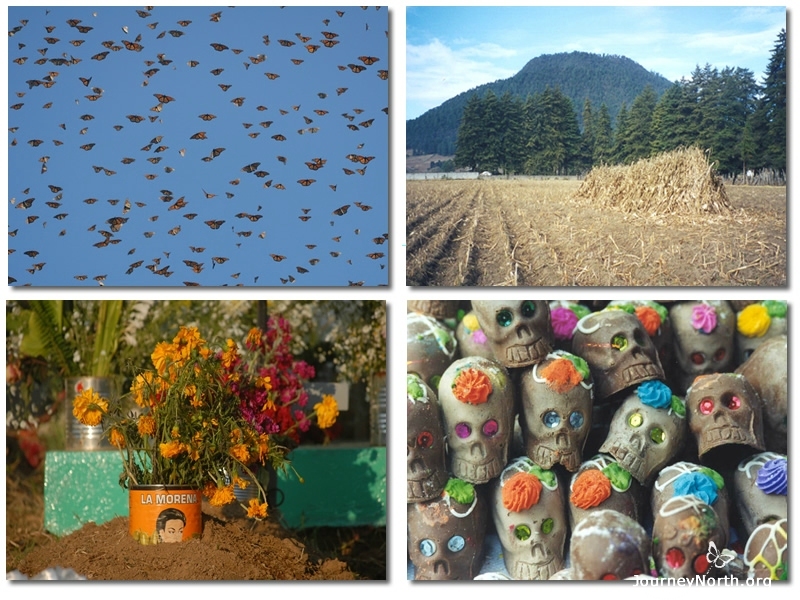 People connect the monarchs' arrival with two events that occurr at the time: the corn harvest, a seasonal event, and Dia de los Muertos (Day of the Dead), a cultural event. How are Mexico's traditions connected to the arrival of monarchs?